Maryland Covered Bridges is dedicated to the promotion, preservaton and rehabilitation of all Covered Bridges. Discover Maryland's Covered Bridges. Take a driving tour to visit the six remaining authentic bridges. 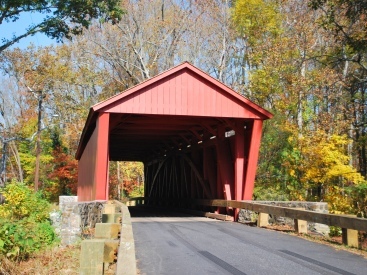 Three bridges still exist in Frederick County, two in Cecil County and one is shared by Baltimore and Harford Counties. 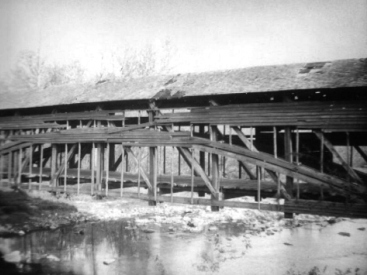 More than 120 authentic Covered Bridges graced the state of Maryland over the past 200 years. Enjoy historical pictures and information about the bridges, their builders, locations and cause of their demise. Take a trip back in time to 1818 when Theodore Burr built a 4,170 foot, 18 span super structure that crossed the Susquehanna River from Rock Run, Harford County to Port Deposit, Cecil County. 08/14/2018 One Romantic Shelter added for Baltimore County MD-03-a, over Parker Branch, now lost. 08/13/2018 Sideling Hill Creek Bridge MD-01-08x/MD-21-08x added as a Bygone Bridge. 08/13/2018 Little Pool Bridge MD-21-10x added as a Bygone Bridge. 08/13/2018 Licking Creek Bridge MD-21-09x added as a Bygone Bridge. 01/18/2018 Romantic Shelter listed as GONE, MD-15-C Lawson King, lost sometime between Oct. 2012 and Oct. 2014. 08/18/2017 Roddy Road Bridge #2 MD-10-02 #1 #2 photos added to Roddy Road Photo Gallery page. 08/18/2017 Roddy Road Bridge #2 MD-10-02 #2 written and added to existing bridges group. 08/18/2017 Roddy Road Bridge #1 MD-10-02 #1 rewritten and placed in Bygone Bridges group. 08/18/2017 Foxcatcher Farms MD-07-02 photos added to Foxcatcher Farms Photo Gallery. 08/18/2017 Gilpin's Falls MD-07-01 revised for information about 2015 painting and photos added to Gilpin's Falls Photo Gallery. 08/17/2017 Loys Station MD-10-03 #2 revised for information about 2015 rehabilitation and photos added to Loys Station Photo Gallery. 08/17/2017 Utica Mills MD-10-01 revised for information about 2015 rehabilitation and photos added to Utica Mills Photo Gallery. 08/16/2017 Jericho Bridge Rehabilitation 2015-16 Gallery added; 30 large resolution photos to view. 08/16/2017 Jericho Bridge rehabilitation added to main page about the bridge. 09/12/2016 Photo & information about relocation of Cozy Restaurant Bridge MD-10-b relocated to Montgomery County MD-15-f.
09/12/2016 Romantic Shelter Joseph Monger MD-07-a listed as GONE, lost to Hurricane Irene, August 28, 2011. 06/23/2016 Photo & information for possible location of Jackson Bridge Keystone Marker, MD-03-12x Jackson Bridge. 03/22/2016 Location corrected and photo of abutments added for MD-03-39x Baltimore & Susquehanna Railroad Upper Bridge. 07/16/2015 Complete rewrite pertaining to the location and sizes of the three Baltimore & Susquehanna Railroad Bridges over the Jones Falls, MD-03-37x, MD-03-38x, MD-03-39x. July 2015 Four new photos 1930s-1977, seven new photos for 1994 rehabilitation and seven new photos 2010-2014 added for Loys Station Covered Bridge Gallery. July 2015 Four new photos 1930s-1978, four new photos for 1992 and 1995 rehabilitation and four new photos 2010-2014 added for Roddy Road Covered Bridge Gallery. July 2015 Nine new photos 1938-1969, six new photos 2009-2015 added for Utica Mills Covered Bridge Gallery. July 2015 Three new photos 1938-1954, nine new photos 2009-2014 added for Foxcatcher Farms Covered Bridge Gallery. July 2015 Twelve new photos 1905-1968, six new photos 2011-2015 added for Gilpin's Falls Covered Bridge Gallery. June 2015 Seven new photos 1936-1958, fifteen new photos 2009-2015 added for Jericho Covered Bridge Gallery. June 2015 Updates often added for the rehabilitation of Jericho Bridge MD-03-02 / MD-12-01. 06/15/2015 1940s photos added for MD-07-10x Reynolds Bridge. 02/27/2015 Old Hagerstown Road Bridge MD-21-04x determined to NOT be an authentic bygone bridge. Bridge will be removed from website in due time. 12/14/2013 Three Bygone Bridges added for Baltimore City/County; B & S Railroad Jones Falls Lower Bridge, MD-03-NNx, B & S Railroad Jones Falls Middle Bridge, MD-03-NNx, and B & S Railroad Jones Falls Upper Bridge, MD-03-NNx. 10/17/2013 One Bygone Bridge added for Baltimore County; MD-03-NNx, Pleasant Valley Bridge. 10/17/2013 One Romantic Shelter added for Garrett County; MD-11-f, Blooming Rose Road Bridge. 06/08/2013 Point of Rocks Over Canal or Canal Road Covered Bridge MD-10-08x determined to NOT be an authentic bygone bridge. Bridge will be removed from website in due time. 05/19/2013 One Bygone Bridge added. MD-10-07x Catoctin Creek Bridge had two bridges at this location, not one. Changed Catoctin Creek Bridge to MD-10-07 #1x and #2x. 05/19/2013 Two Bygone Bridges added. MD-10-13x Spruce Run Road Bridge had three bridges at this location, not one. Changed Spruce Run Road Bridge to MD-10-13 #1x, #2x and #3x. 05/19/2013 Numerous changes made to Bygone Bridges: MD-03-NNx Gunpowder Falls; MD-10-NNx Emmitsburg Road / Toll Gate Hill; MD-06-01x / MD-10-12x Bridgeport; MD-10-16x Jefferson; MD-10-14x Ballenger Creek; MD-10-17x Monocacy Railroad; MD-10-15x Middletown; MD-21-03x / WV-19-04x Wager's; MD-03-07x Forges. 02/08/2013 One Romantic Shelter added for Frederick County, MD-10-g, Walkersville Community Park Bridge. 08/27/2012 Two Bygone Bridge added, one for Frederick County, Boyer's Mill Bridge MD-10-NNx and one for Washington County, Snook's Creek Bridge MD-21-NNx. 08/27/2012 One Romantic Shelter added for Worcester County, MD-23-A, Inlet Isle Lane Bridge. 04/14/2012 Three Bygone Bridges added, two for Baltimore County, Gunpowder Falls Bridge MD-03-NNx, and Hooper Bridge MD-03-NNx and one for Garrett County, Casselman Bridge MD-11-NNx. 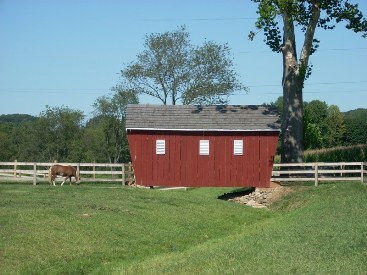 11/11/2011 One Romantic Shelter added for Carroll County, MD-06-d, Carroll County Farm Museum Bridge. 09/21/2011 One Romantic Shelter added for Washington County, MD-21-a, Green Spring Bridge. 03/30/2011 Jericho Bridge MD-03-02 & MD-12-01 receives $2 million grant for repairing bridge. 11/19/2010 One Bygone Bridge added for Washington County, Little Tonoloway Creek MD-21-NNx. 09/20/2010 Two Romantic Shelters added for Garrett County, MD-11-c, Streams and Dreams Bridge and MD-11-(a) Spruce Forest Bridge. 09/13/2010 One Romantic Shelter added for Carroll County, MD-06-c, Hearts Over Water Bridge. 07/29/2010 One Bygone Bridge added for Baltimore & Howard County, Ellicott's Mills/City MD-03-09 #3x & MD-13-06 #3x. Built and lost dates changed with addition of third bridge at this location. More information provided in general about the bridges at Ellicott's Mills/Ellicott City. 07/28/2010 One Bygone Bridge added for Cecil County, Principio Furnace or Principio Creek MD-07-17 #1x. Original MD-07-17x changed to MD-07-17 #2x. 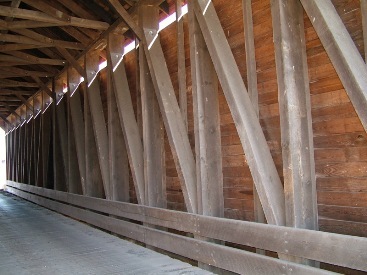 Evidence found that first bridge at this location was covered. 07/26/2010 One Bygone Bridge added for Harford County, Priestford MD-12-NNx. 06/28/2010 Two Bygone Bridges added. One for Harford County: Watters Mill MD-12-NNx. One for Frederick County: South Seton/Emmitsburg MD-10-NNx. 06/28/2010 New information and photos added for Foxcatcher Farms Bridge MD-07-02. 06/24/2010 New information and rehabilitation photo gallery added for Gilpin's Falls Bridge MD-07-01, rehabilitated in 2009-10. 04/22/2010 Eleven Bygone Bridges added. Nine for Harford County: Stafford Mills MD-12-NNx; Cox's Mill MD-12-NNx; Pylesville MD-12-NNx; Grays Run MD-12-NNx; Ring Factory MD-12-NNx; Lower Cross Roads MD-12-NNx; Rutledge's Ford MD-12-NNx; St. Clair's Ford MD-12-NNx; Long Branch Run MD-12-NNx. Two for Harford and Baltimore Counties: Swan's MD-03-NNx & MD-12-NNx; Guyton's Mill MD-03-NNx & MD-12-NNx. 04/22/2010 One Bygone Bridge added. Baldwin's Mill MD-03-25 #2x & MD-12-15 #2x. 03/05/2010 Six Bygone Bridges added. Four for Allegany County: Oldtown MD-01-NNx; Folck's Mill MD-01-NNx; C&O Canal at North Branch MD-01-02x; North Branch or North Branch Potomac River MD-01-04x & WV-29-01x. One for Baltimore (City): Canton or Harris Creek MD-03-14x. One for Garrett County: Gorman-Gormania MD-11-01x & WV-12-01x. 02/25/2010 One Bygone Bridge added for Cecil County: Plum Creek MD-07-NNx. 02/21/2010 One Bygone Bridges added for Baltimore County. Windsor Mill Road MD-03-NNx. 02/20/2010 Three Bygone Bridges added for Baltimore County. Wetheredsville #1 & #2 MD-03-NNx #1 & MD-03-NNx #2; Frederick Turnpike MD-03-NNx. 02/09/2010 Four Bygone Bridges added for Cecil County. Rock MD-07-NNx; Bridge Street MD-07-NNx; Newark Road MD-07-NNx; Main Street MD-07-NNx. 01/29/2010 Six Bygone Bridges added. One for Baltimore and Harford counties: Emory's Ford MD-03-NNx & MD-12-NNx. Five for Harford County: Swansbury Mills MD-12-NNx; Clark's Ford MD-12-NNx; Wiley's Upper Mill MD-12-NNx; Bush MD-12-NNx; La Grange Iron Works or Rocks Road MD-12-NNx. 01/22/2010 Seven Bygone Bridges added. One for Baltimore & Carroll counties: North Branch MD-03-NNx and MD-06-NNx. Two for Baltimore & Harford counties: Baldwin's Mill MD-03-NNx & MD-12-NNx; Reckord Mill/Harford Turnpike MD-03-NNx & MD-12-NNx. Three for Baltimore County: Meredith's Ford MD-03-NNx; Monkton Mills MD-03-NNx; NCRR Bridge south of Monkton MD-03-NNx. One for Cecil County: Mechanics Valley MD-07-12x. 12/07/2009 One Bygone Bridge added for Frederick County: Monocacy Railroad MD-10-NNx. 10/10/2009 One Bygone Bridge added for Harford County: Old Red or Broad Creek or Flintville MD-10-NNx. 09/29/2009 Two Bygone Bridges added. One for Baltimore & Howard Counties: Patapsco at Elkridge Landing MD-03-NNx & MD-13-NNx. One for Frederick County: Loys Station #1 MD-10-03x. 09/07/2009 Romantic Shelter added. Peachblossom Creek Bridge in Talbot County, MD-20-a. 08/21/2009 Three Bygone Bridges added for Baltimore County: Phoenix Mills MD-03-NNx; Paper Mill MD-03-NNx; Warren Factory MD-03-NNx. Documented Bygone Bridges total is 68. 08/09/2009 Romantic Shelter added, River Valley Ranch Bridge in Carroll County, MD-06-B. 07/31/2009 Three Bygone Bridges added for Harford County: Fife's Mill MD-12-NNx; Preston's Mill MD-12-NNx; Deer Creek or Husband's Mill or Old Forge MD-12-NNx. Documented Bygone Bridges total is 65. 03/12/2009 Two Bygone Bridge added for Cecil County: Delaware Avenue or Vinsinger's or Mitchell's Mill MD-07-04x; Stone Run or Haines' Mill MD-07-20x. 02/18/2009 Eight Bygone Bridges added for Cecil County: Elk Mills or Baldwin's Mill MD-07-03x; MacKall's Mill MD-07-06x; Stony Run MD-07-11x; Rowlandsville or Octoraro Creek MD-07-19x; Red Mill MD-07-18x; Principio Furnace or Principio Creek MD-07-17x; McCullough Mill MD-07-16x; Warburton Mill MD-07-21x. Porters MD-07-13x added illustration from 1877.